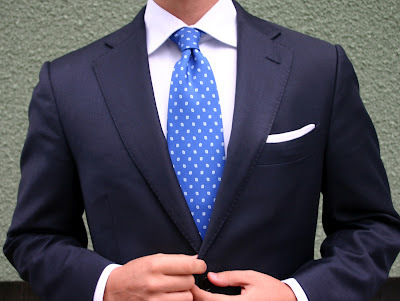 Formal Monday wear. 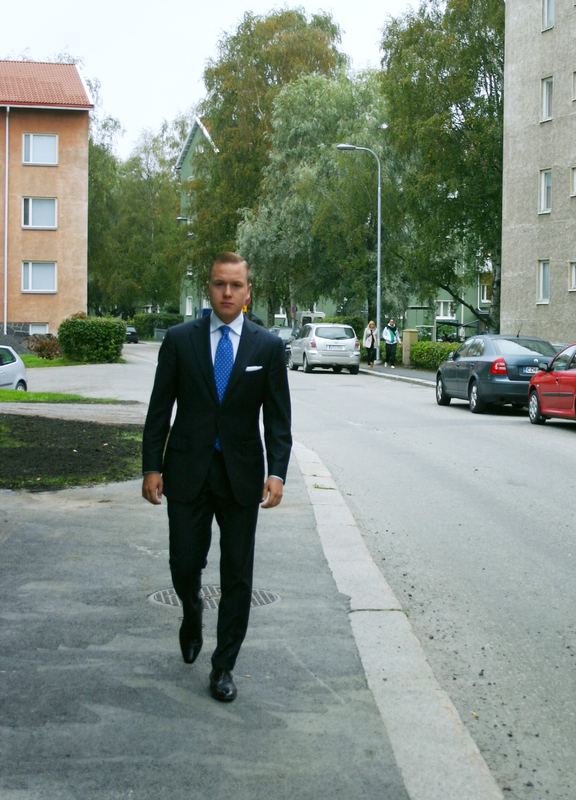 Navy suit, this time with black shoes. The quality of the pics is a bit on the worse side, but good for at least one thing: It shows the silhuette of a good fit. See how the fabric follows the body's natural line without wrinkles or pulls even when walking at a pace. With the suit I picked an electric blue E. Marinella silk tie and a white cotton pocket square to go with the formal theme. The shirt is white. As shoes I picked black plaintoe oxfords. 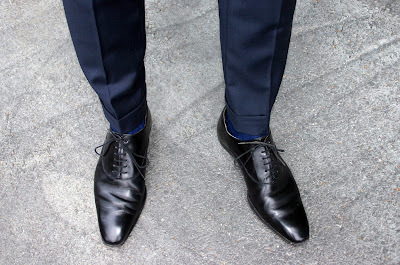 Sleek but not too elongated, they go well with the leg width of the suit trousers. I simply approve ALL the way.